If you want to seriously change the texture of your skin, you need to do some serious exfoliating. I don't mean your apricot scrub or micro-beads, I mean a chemical or acid exfoliator. I was always hesitant to try these but since my first time trying them, I have been hooked! Your skin will never feel as soft as plush as it will after you use a chemical or acid exfoliator. While they do lean on the pricier side, one treatment makes such a huge impact and it will only get better with regular use! You don't need to use them daily, just weekly to maintain optimal results! 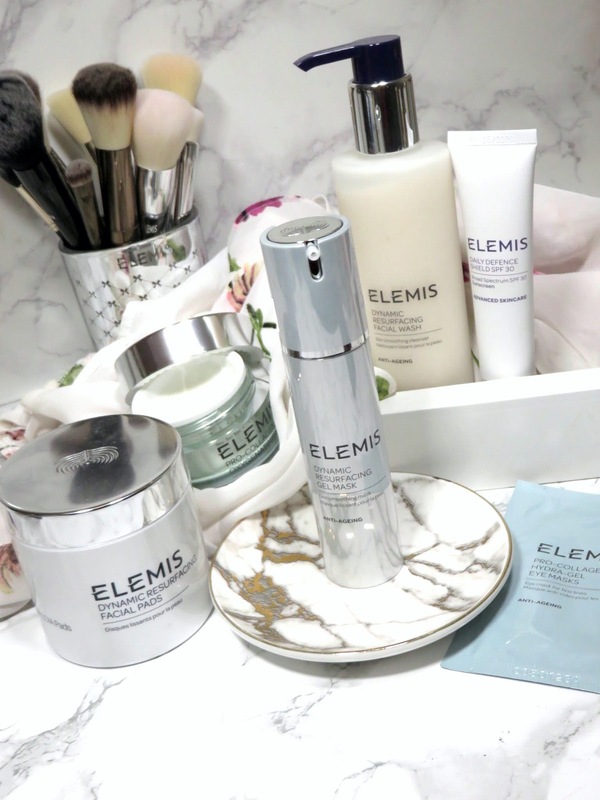 I have been loving the Elemis Dynamic Resurfacing range and I am so thankful to Elemis for sending their mask my way. The Elemis Dynamic Resurfacing Gel Mask retails for $78.50 and is available at Elemis and other retailers. The mask is housed in a beautiful reflective silvery white tube with a pump. This packing is very similar to many Elemis products, like their serum. To minimize waste, I pump small amounts and work in sections to apply the gel mask all over my face and neck. The gel is clear and goes on very easily. After a minute you will feel a warming sensation and a very light tingle. Then after a few minutes it becomes very cooling and almost chills the skin! It's the craziest sensations I have ever had with a mask! It doesn't hurt or burn at all. It just feels really cool on the skin, which is great right now in the summer time because it's been insanely hot! After about 8-10 minutes, I rinse off the mask and my skin will felt significantly softer and smoother. There was a very noticeable radiance to my skin and it seemed to soothe my skin with the cooling sensation. I then apply my Elemis Pro-Collage Super Serum Elixir (review here), which is a oil-serum hybrid. 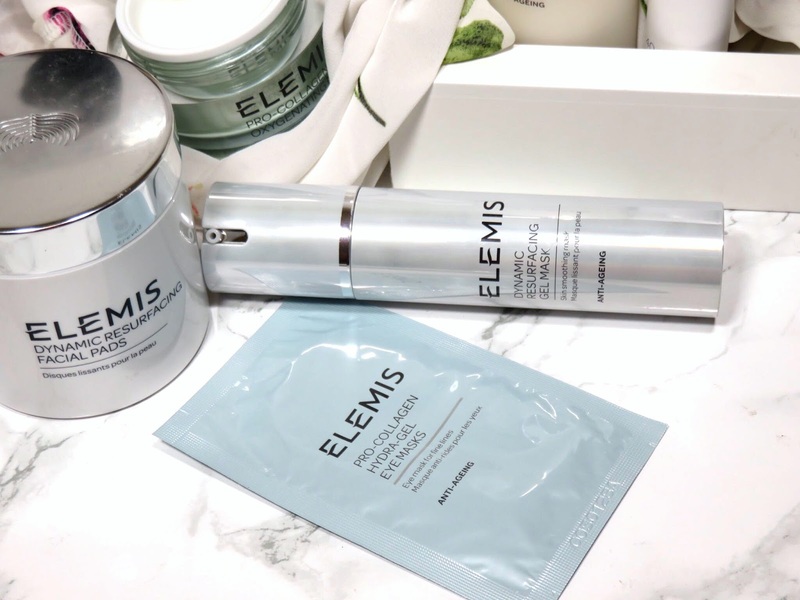 Depending on the evening, I will also layer on the Elemis Pro-Collagen Oxygenating Night Cream, for extra hydration and nourishment. It felt even richer and more nourishing on my skin because my skin was really drinking up the product. The mask really helps remove blocked and clogged pores and excess skin cells so you skincare can penetrate much deeper. In the morning, my skin is GLOWING! It's so hydrated and nourished. There is still a fine layer of oil from the moisturizer and serum, that makes my skin look so fresh and healthy. After rinsing my face with water, I don't feel like I need any extra hydration but I will apply an SPF. It is particularly important because chemical-based peels and exfoliants tend to leave your skin quite sensitive to the sun. It is really important to protect your skin afterwards to prevent hyper-pigmentation and sun damage. 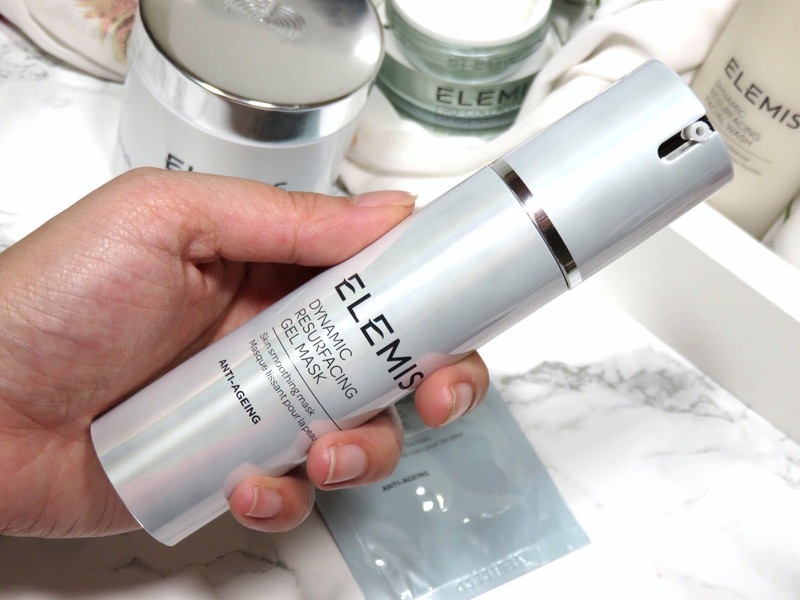 I love the Elemis Daily Defense Shield SPF 30 (full review coming soon) because it is a super lightweight serum-like texture that blends in completely and is beautiful under makeup. 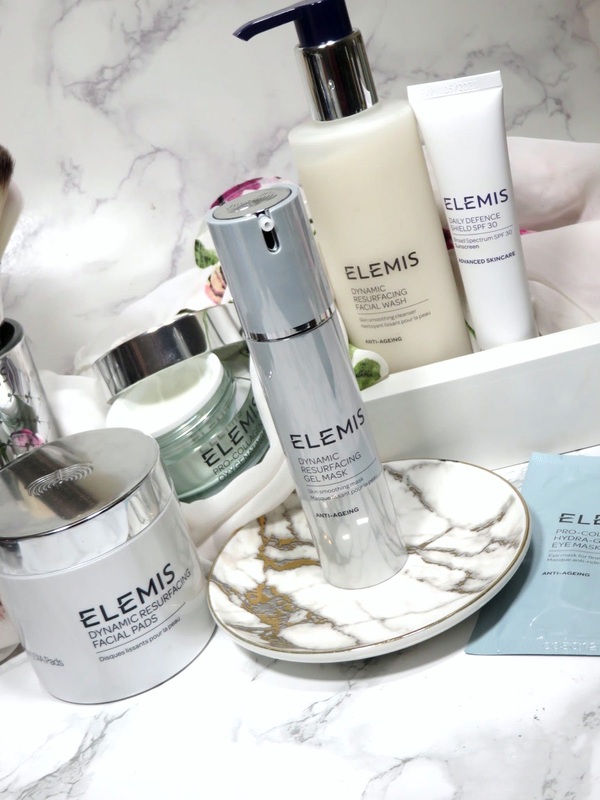 I seriously can't get enough of this Elemis Resurfacing range and this mask is a weekly essential in my routine. A chemical exfoliant product is something everyone should invest in, it really helps with the texture of your skin. I helps with the suppleness, softness, and brightness of your complexion when you use it regularly. 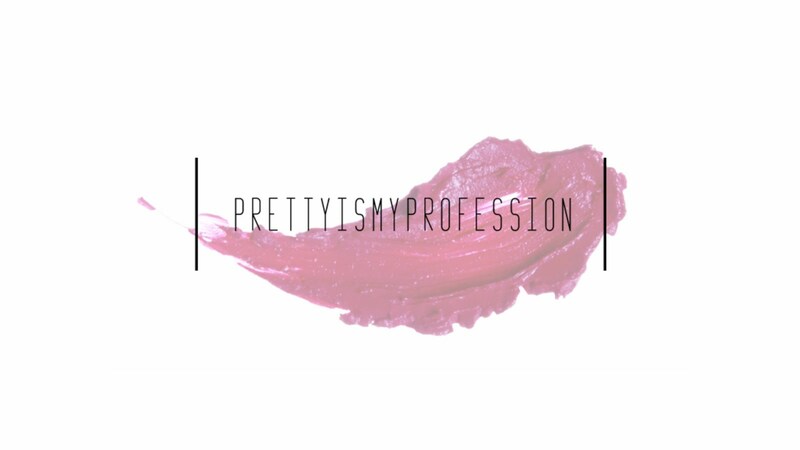 I have made it a priority in my routine to exfoliate at least twice a week and once with a chemical exfoliator. 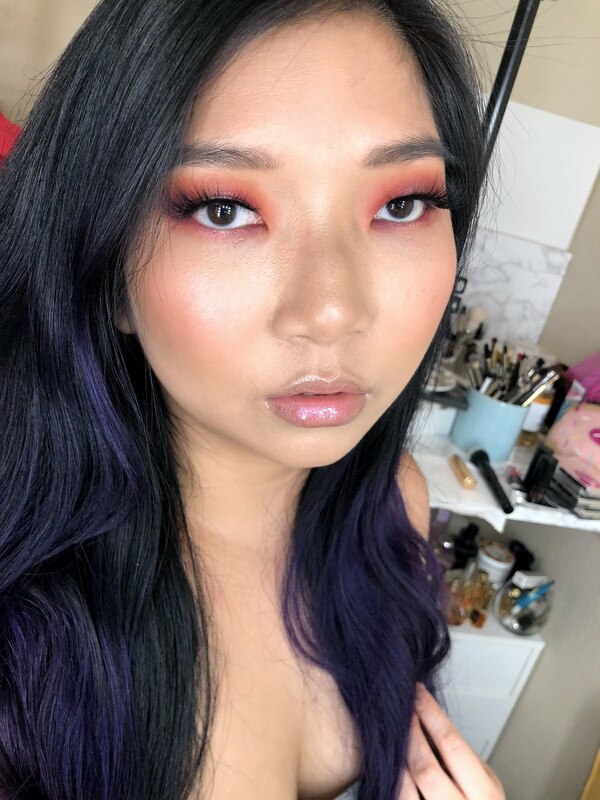 Since using the range, I have received many questions and compliments about how I get my skin's texture to look the way it does. It is really all about this range and using ti consistently. I find all products just absorb much better and work more efficiently. I also notice a constant and consistent glow to my skin and the brightening of some of my pigmentation. I can't recommend this mask enough! It is something that will completely change your skin and your skincare routine!